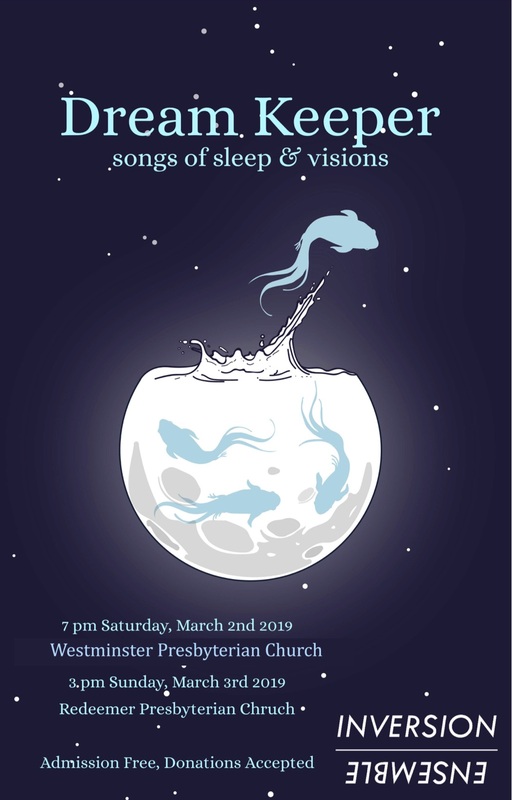 Austin’s acclaimed choral collective Inversion Ensemble explores the deep reaches of the human imagination through songs of sleep and visions in its upcoming project Dream Keeper. Hear new music that spans the distance between slumber and the waking world from lullabies to nightmares. With premieres of new works by local composers Trevor Shaw, Robbie LaBanca, Adrienne Inglis, Stephanie K. Andrews, Trevor Villwock, and Marjorie Halloran this immersive concert experience is not to be missed. The performances feature guest conductor and Ars Longa Artistic Director, Steven Brennfleck. Admission free, donations welcome. Avoid traffic and parking hassles and take the bus. Inversion Ensemble. We Sing the Future.